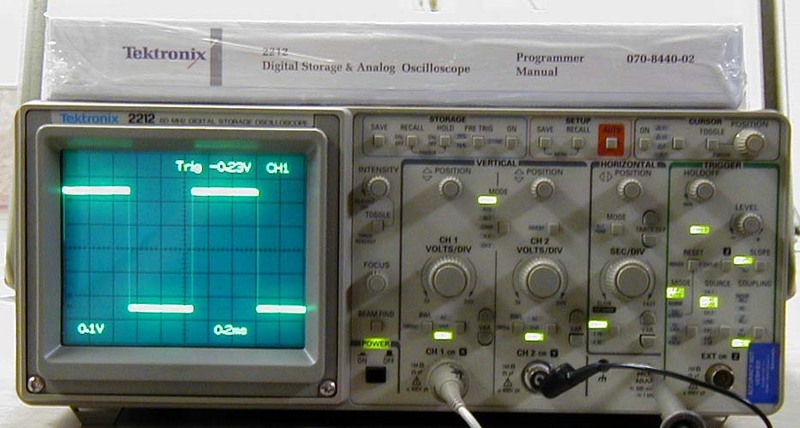 Tektronix 2212 digital storage & analog oscilloscope. It comes as pictured with a programmer manual, P6109B 100MHX probe, power cord and an upgrade kit for GPIB & RS-232-C. Everything appears to be functiong properly. The scope is a 2 channel 60 MHZ.